In just a few years, it is expected that cotton could become Haiti's white gold providing millions of pounds of organic cotton for clothing, shoes, shirts and other clothing sold in the US and other countries. An attempt to promote the production of Cotton in Haiti was made in the 1950s by some Brazilian firms. The project was abandoned in the late 80s due to parasitic problems, especially the cotton weevil. 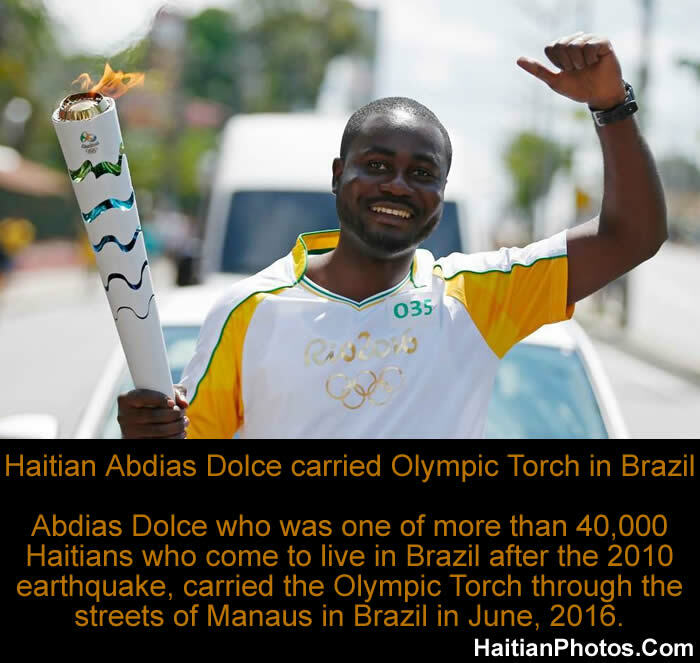 Dolce stated that he was representing over 40,000 immigrants from Haiti who came to Brazil following the earthquake. He was very appreciative of the people of Brazil and Manaus in particular. Abdias Dolce who had managed to lean Portuguese in a relatively short period of time said that his three most favorite passions in Brazil are: Carnival, Football and music. Canada agrees to replace Brazil and take command over UN stabilization mission in Haiti. UN stabilization mission in Haiti currently has 2,370 soldiers, 2,600 police officers, and 1,500 civilian officials on the ground in Haiti, including five Canadian soldiers and 90 police officers. 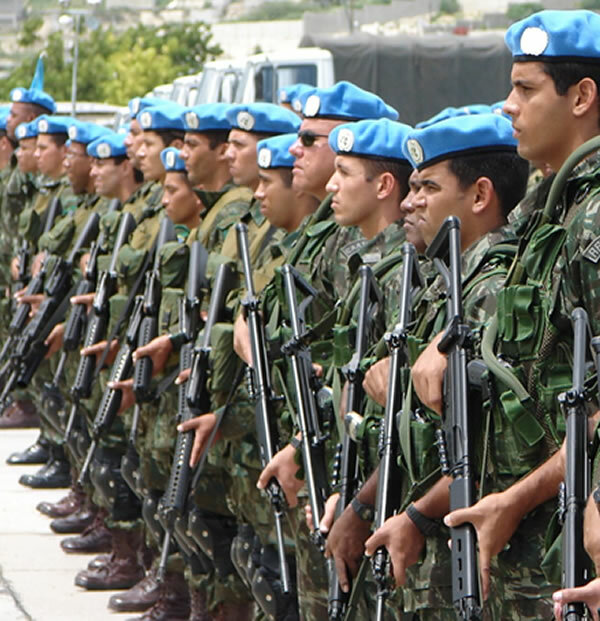 Based on an agreement between Canadian Prime Minister Justin Trudeau and UN Secretary General Ban Ki-moon in February, 2016, Canada will increase it participation in UN Peacekeeping missions in Haiti by sending 1,000 to 2,000 police officers and soldiers and take over command of the UN mission from Brazil after its mission mandate expires in October. The Brazilian government has decided to give permanent residence to 43,781 Haitians immigrants who have entered the country within the past five years. According to a plan approved by both the ministers of justice and labor, all undocumented Haitians will be able to remain in the country and find employment. The upgraded status will provide the Haitians permanency in Brazil where they can reside and enjoy all the rights of a foreigner living permanently in Brazil, according to the ministers of justice, Jose Eduardo Cardozo. Among those rights: eligibility for government assistance. Haitian heads of state President Martelly and Prime Minister Lamothe have sent their heartiest congratulations to newly re-elected Brazilian President Dilma Rousseff. 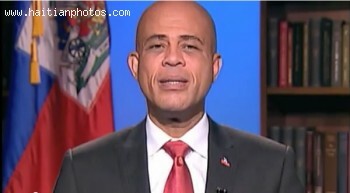 Martelly expressed the government of Haiti looks forward to ". 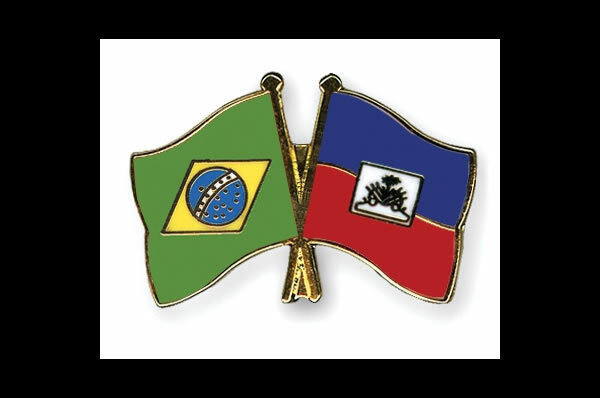 . . its commitment to strengthen and consolidate the relations of friendship and cooperation that exist between Haiti and Brazil. "Rousseff, who ran as a Workers Party candidate, barely edged out Aecio Neves, winning 51.64% to 48.36%. She was able to amass a huge campaign war chest and ran ads promising to lift the living standards of the poor, and they turned out in great numbers to vote for her. Organization of American States (OAS) in Haiti Special Representative, Ricardo Seitenfus, is angry with UN Stabilization Mission in Haiti's (MINUSTAH) accusations against him. In 2010 he said MINUSTAH charged him with coercing the mission into its 6-year presence in Haiti. Not true responds Seitenfus and points to the Haitian constitution as invalidating the presence of MINUSTAH. Also the treaties Haiti has signed with the international community further invalidates MINUSTAH's presence on the ground. Seitenfus further clarifies that because MINUSTAH has no business being in Haiti the diplomatic immunity it has granted itself is also illegal. Seitenfus has also gone on the attack with Haitian friends groups. He claims they have repeatedly made the same mistakes trying to handle political upheavals on the island. Seitenfus decries the amount of spending the MINUSTAH operation has racked up, almost $8.6 billion. Seitenfus, who once was Brazil's special envoy to Haiti, became tapped to represent the OAS due to his expertise in international relations, and in Brazilian / Haitian foreign policy. Somerville, Haiti, held its first annual "Haiti and Brazil Hit the Ville" joint festival this summer. Somerville is a town that celebrates diversity, and its two biggest immigrant communities, Brazil and Haiti share much in common: their love of soccer, Carnival, and national staple foods, rice and beans. The festival was organized by Somerville Arts Council's Arts Union Program in collaboration with the city of Somerville and SomervilleVIVA, a language exchange program. Brazil and Haiti first became sister communities in 1978 when Brazil's national soccer hero, Pele, played in Haiti, and the newly composed community anthem, "Haiti e Aqui" was performed. This tribute by Brazil to Haiti solidified the ties of history that have existed between the two nations during the days of the fight for independence. It doesn't matter whether or not you can't go to Brazil to watch the 2014 World Cup Soccer final between the two best teams Argentine and Germany. Haiti will be officially represented. Our own president Michel Martelly will be present at the final game. President Michel Martelly will be in Brazil on Sunday (July 13, 2014) for the final match of the 2014 World Cup between Argentina and Germany. The game will be held at Maracana Stadium. There are many other heads of states who will also be present at the game, including: Vladimir Putin, the Presidents of Russia, Jacob Zuma, president of South Africa, János Áder of Hungary. Also, Denis Sassou-Nguesso, of the Democratic Republic of Congo, Joseph Kabila, the President of China. 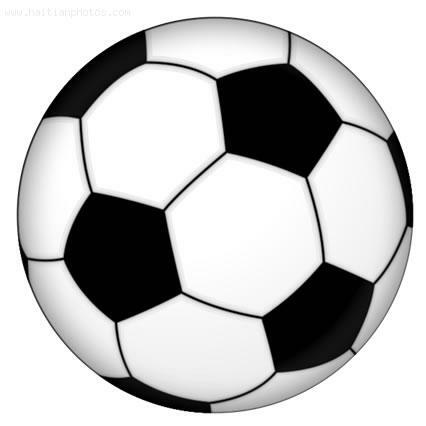 Two Haitians playing in 2014 world Cup, Jean Beausejour for Chile, Jozy Altidore for U.S. Although most Haitians are supporting either Brazil or Argentine in this 2014 World Cup taking place in Brazil, we have been more involved and surprisingly, our involvement have nothing to do with either. Two players of Haitian origin are currently playing in the World Cup. Jean Beausejour is defending the Chilean National team, and Jozy Altidore is a major contributor in the U.S. soccer team. The son of a Haitian father and a Chilean-Mapuche mother, Jean Beausejour was born in Santiago, Chile. He began playing Football professionally at Universidad Católica in 2001. Due to his superior soccer skill, he was selected for Chile national team by coach Marcelo Bielsa. A major accomplishment for the Haitian artist. 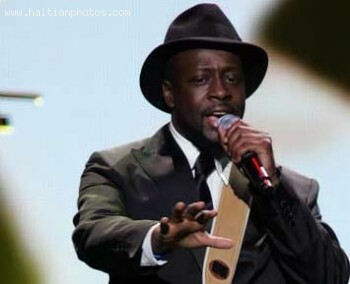 FIFA has selected Wyclef Jean to be in the line up of entertainers who will be performing at the FIFA World Cup 2014 in Brazil. He will be accompanied by Carlos Santana, Avicii and Alexandre Pires. "We will find a Way" the song to be interpreted by Wyclef Jean. Wyclef Jean is scheduled to interpret the song titled:"Dar in Rio or We Will find the way. His performance will take place during the closing ceremony in Rio de Janeiro in front of millions of spectators who will be watching at the stadium, in Television and on their internet.